Finally, the king of Bollywood is back with a bang. 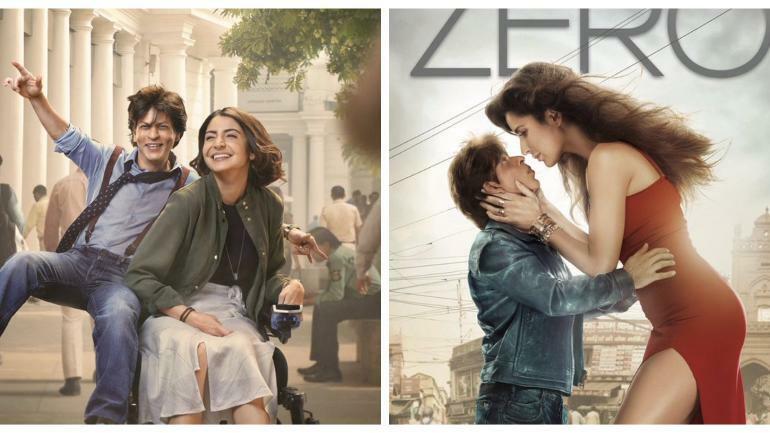 Zero has been in the process of making from last 2 years and it had so much to offer to the Indian cinema. Anand L. Rai and his team portray the message in a different way. The movie is about the incompleteness of our life. No matter how big or how small we are, we are all incomplete in some manner. Bauua Singh takes you on a ride where you eventually start loving your incompleteness which is the basic purpose of the film. The movie stars Shah Rukh Khan, Anushka Sharma, Katrina​ Kaif​, Mohammed Zeeshan Ayyub, Tigmanshu Dhulia and Sheeba Chadha. The best part of the film is that all the actors have done justice to their roles. Shah Rukh Khan stands out with his extra ordinary portrayal of a dwarf. Bauua Singh is witty, cheap, self-obsessed but effective. Anushka Sharma is playing the character of Aafia and is hands down at her best. Last but not the least, Katrina Kaif has given her career best in the film. On the other hand, the supporting cast of the film is also a plus point added. The movie holds one of the best VFX ever used in Bollywood and all credits to the makers who did not compromise on the visual effects of the movie. Dialogues are amazing and the writing of Himanshu Sharma holds grip through out the movie. The film involves several cameo appearances from B-town celebrities and the best part is the song ‘Ishqbaazi’ where we see Shah Rukh Khan and Salman Khan dancing together after so long. Despite all the good things, the second half of the film is dragged, and it could have been much better. The run time of the film is 2 hours and 55 minutes which is very long as compared to the current running times of the movies. The movie had been much better if it was 20 minutes short. But still, Bauua Singh will take you on a roller coaster ride of emotions. He will make you laugh, he will make you cry but he won’t let you ignore him. Watch this film for the evergreen charm of Shah Rukh Khan. We go with 4 stars out of 5 for this movie.